People talk a lot about the need to save sharks...what better way than to go after the largest commercial killer of white sharks on the planet? Be part of this project. Spending a month in South Africa, a group of friends sets out to learn the origins of the Natal Sharks Board, the psychological effects it has had on the community, and the ongoing effects it has on the marine life of the Kwazu Natal Coast. Having learned the horrors of shark culling in Australia during the making of his documentary, Great White Lies, director Skyler Thomas this time focuses his attention on a culling program that often receives high praise. Why is this program better? Why is it more effective than other culling programs? Or is this perception based on false information? Joined by two friends and shark divers, the three meet in Durban to discover these answers first hand. Growing evidence indicates that human interference in nature’s balance not only hurts the ecosystem, but is contributing to negative interactions between humans and sharks. But perhaps more alarming is the fact that this is not new information, but is instead information that governments and special interest groups refuse to recognize or act upon. Why? The answers will leave you wondering if the real monsters are below the surface or above it. Following up on the award-winning film, ‘Great White Lies’, the new film, ‘Monsters’ shifts location to the Kwazu Natal Coast where human pressure on shark populations has significantly changed the dynamic of local ecosystems. This time an international collaboration consisting of White Shark Video film director Skyler Thomas, Understanding Sharks's Dan Abbott, and the team at Sharkservation, head to Durban to focus on one culling organization and the effects it has had. Despite increased awareness on the topic and an ever growing mountain of evidence that culling doesn’t accomplish its proposed goals, rather than culling going away the practice is actually spreading. Why? What is the real motivation behind the practice and who benefits from its ongoing existence. This project hopes to expose those who benefit from shark killing while hiding behind the mask of conservation. ‘Great White Lies’ introduced the audience to the practice of shark culling, what it is, and where it is occurring. 'Monsters' instead focuses on the history of one specific location and the controversy surrounding a self-proclaimed conservation company that is simultaneously one of the biggest threats to the survival of multiple shark species. Raising awareness is good, but it is also a very broad concept that often leaves people overwhelmed and wondering what to do next. We hope that revealing the alternate motivation of organizations that cull will help people make choices about who they choose to support. For example, would you continue to support a "conservation company" that you learned was the leading killer of that region's sharks? Also joining the effort are several local sharks experts who have been entrenched in this battle for decades. Dr. Jessica Escobar, a shark scientist who parted ways with the Natal Sharks Board and whose genetics research is creating quite a concern. Olivia Symcox and the South African chapter of Shark Angels have been battling Shark culling for decades and will help shed light on the lies and challenges they have encountered while trying to bring awareness of the topic to the world. Shark diving legend Walter Bernardis explains the changes in shark populations he has seen while also taking us diving with these magnificent creatures showing us that man and shark can inhabit the same water without conflict. 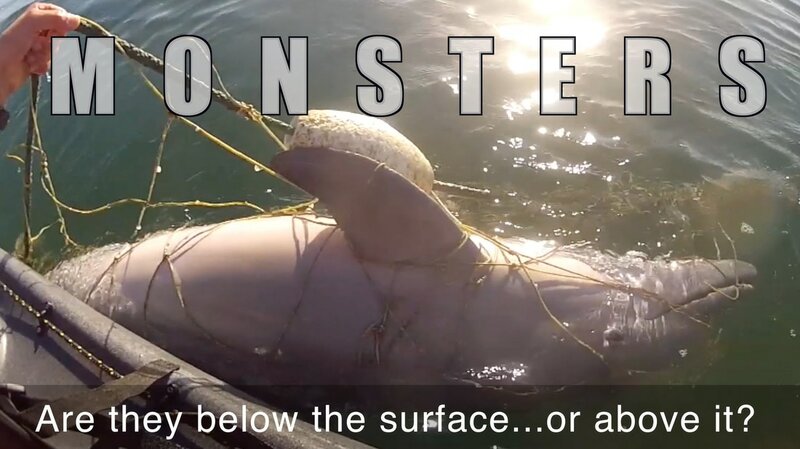 Regardless, whales, dolphins and countless other marine animals continue to suffer horrific deaths at the hands of these shark nets. But educating the public about the statistics of non-target victims fails to drive the point home. When faced with being forced to witness a baby humpback whale fight for its life from beginning to end in front of its mother, how many deaths is an acceptable price for beach safety? An overlooked part of the history of shark culling in South Africa is the direct relationship to whales. Although the Natal Sharks Board refuses to include this part of history in their presentations, Durban’s whaling station is likely to blame for the “shark problem” that occurred in the 50’s and 60’s. With the end of whaling also came the end of the proclaimed shark problem which coincided with the introduction of the Natal Sharks Board’s shark nets. This overlap of events again is completely left out of the Sharks Board’s history lesson. Shark culling is a major issue facing marine wildlife. Despite growing evidence that the negative impacts far outweigh any implied benefits (there are no proven benefits) the practice of shark culling continues to spread. Sadly, some of the most heavily impacted animals are critically endangered and not targeted species. ​All four segments equal a combined run time of less than nine minutes, intentionally short in order to fit into a film block. Living dolphin footage by Skyler Thomas. Living humpback whale footage (underwater) by Skyler Thomas. Living white shark footage by Skyler Thomas. Aerial footage of humpback whales by Blair Ranford. Dying footage of tiger sharks by Luke Dbeat and Rowan Sibhon. Dead whale on ocean floor by Humpbacks and Highrises. Dolphin in net by Sea Shepherd Australia. Living footage of tiger sharks by Skyler Thomas, Epic Diving, and Jillian Brake. Music by Matt LaPoint. Written, directed and edited by Skyler Thomas.